Please follow these guidelines to find the fit that works best. To figure out your measurements, have another person assist you. Use a fabric tape measure and be sure to wear minimal clothing. Measure around the fullest part of your bust, making sure that the measuring tape is evenly horizontal all the way around. 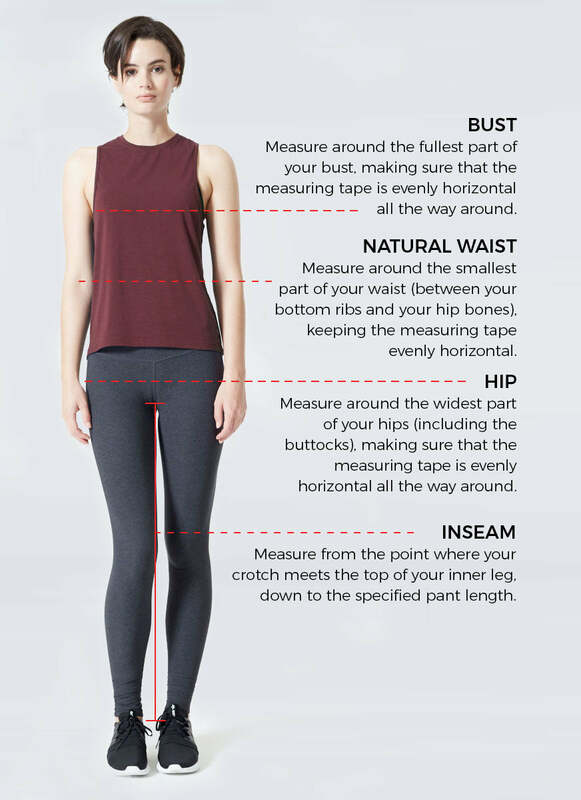 Measure around the smallest part of your waist (between your bottom ribs and your hip bones), making sure that the measuring tape is evenly horizontal all the way around. 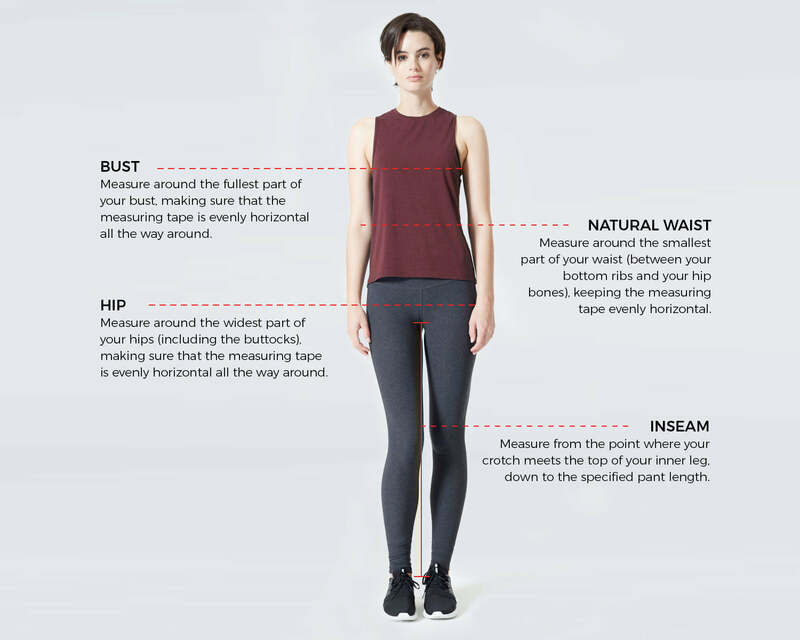 Measure around the widest part of your hips (including the buttocks), making sure that the measuring tape is evenly horizontal all the way around. Measure from the point where your crotch meets the top of your inner leg, down to the specified pant length. Inseam measurements vary by style, so be sure to note them in the item's description.